For a limited time, buy 1 Thermo Detonator, 100 Capsules & get 1 50% OFF! Grenade® is rapidly being recognized as the World’s fastest growing weight loss brand, with sales in over 130 countries. 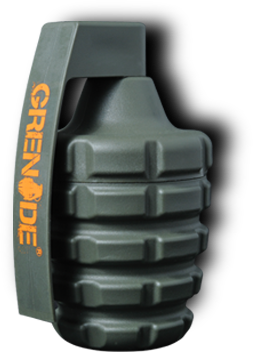 The multi award winning** Grenade® Thermo Detonator® is suitable for men and women and is extensively used by professional athletes, fitness enthusiasts, military personnel and Special Forces worldwide. 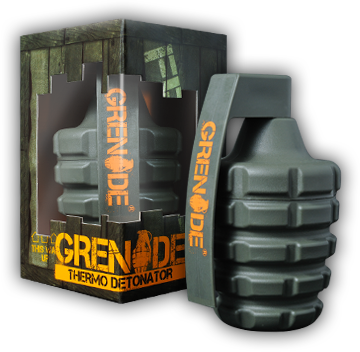 Grenade® Thermo Detonator® contains key ingredients clinically suggested to help burn fat and support weight loss. * The advanced thermogenic formula is highly effective prior to intense cardio and DTP sessions. So, if you want the most powerful dosages of the most effective fat loss ingredients along with a steady stream of energy and alertness but you also want to hang onto your hard-earned muscle, no product declares war on fat like Grenade® Thermo Detonator®. The extract of grapefruit seed, dihydroxybergamottin, is known to prolong the effects of various compounds involved in the fat-burning process. This is a favourite energy drink of many South Americans who consume it much like coffee. It has naturally high levels of xanthine stimulants that may increase metabolic rate and have other common stimulant effects. Carpene, C., J. Galitzky, E. Fontana, C. Atgie, M. Lafontan, and M. Berlan. Selective activation of β3 adrenoceptors by octopamine: comparative studies in mammalian fat cells. Naunyn Schmiedebergs Arch Pharmacol. 359(4): 310-321, 1999. Boulton, A.A. The Tyramines: Functionally significant biogenic amines or metabolic accidents? Life Sciences 23(7): 659-672, 1978. Fontana, E., N. Morin, D. Prevot, and C. Carpene. Effects of octopamine on lipolysis, glucose transport and amine oxidation in mammalian fat cells. Comp Biochem Physiol Pharmacol Toxicol Endocrinol. 125(1): 33-44, 2000. Woolf K, Bidwell WK, Carlson AG. The effect of caffeine as an ergogenic aid in anaerobic exercise. Int J Sport Nutr Exerc Metab. 2008 Aug;18(4):41211px9. Hursel R, Westerterp-Plantenga MS. Thermogenic ingredients and body weight regulation. Int J Obes (Lond). 2010 Apr;34(4):659-69. Epub 2010 Feb 9. Shi J, Yan J, Lei Q, Zhao J, Chen K, Yang D, Zhao X, Zhang Y. Intragastric administration of evodiamine suppresses NPY and AgRP gene expression in the hypothalamus and decreases food intake in rats. Brain Res. 2009 Jan 9;1247:71-8. Epub 2008 Oct 15. Kobayashi Y, Nakano Y, Kizaki M, Hoshikuma K, Yokoo Y, Kamiya T. Capsaicin-like activities of evodiamine from fruits of Evodia rutaecarpa, a vanilloid receptor agonist. Planta Med. 2001 Oct;67(7):628-33. Galitzky, J. et al. B2-antagonist compounds and lipid mobilization: evidence for a lipid mobilizing effect of oral yohimbine in healthy male volunteers. Eur J Clin Invest;18:587-594. 1988. Morimoto C, Satoh Y, Hara M, Inoue S, Tsujita T, Okuda H. Anti-obese action of raspberry ketone. Life Sci. 2005 May 27;77(2):19411px04. Epub 2005 Feb 25. Ballinger AB, Clark ML. L-phenylalanine releases cholecystokinin (CCK) and is associated with reduced food intake in humans: evidence for a physiological role of CCK in control of eating. Metabolism. 1994 Jun;43(6):735-8. Henderson S, Magu B, Rasmussen C, Lancaster S, Kerksick C, Smith P, Melton C, Cowan P, Greenwood M, Earnest C, Almada A, Milnor P, Magrans T, Bowden R, Ounpraseuth S, Thomas A, Kreider RB. Effects of coleus forskohlii supplementation on body composition and hematological profiles in mildly overweight women. J Int Soc Sports Nutr. 2005 Dec 9;2:54-62. We are committed to our customers and their athletic and performance goals. GRENADE® is only manufactured / assembled in facilities which have achieved ISO9001 / cGMP certification. cGMP refers to ‘current Good Manufacturing Practice.’ The cGMP for supplements set regulations which are backed by the force of law and require that our suppliers, manufacturers and packagers take proactive steps to ensure that a product is safe and effective. Our manufacturers are required to implement processes and procedures that comply with the requirements listed in the applicable GMP guidelines before a product can be released. To enforce compliance, our manufacturers can be audited by inspectors at any time. Controls and checks are carried out at all stages of the production process by a highly experienced Quality Assurance Team who cover all aspects of the Quality Assurance Procedures. This ensures our guarantee of label accuracy. We only use the highest quality ingredients and are dedicated to using scientifically supported research as the backbone of our product development and design. I'm very sensitive to all the thermogenic products, so I definitely can never take this at full dose. I work up to 2 in the morning, 1 just before lunch and 1 just after lunch. Definitely a little crack-like when re-starting to take if I've been up for a while, but give a sustained energy boost once I'm acclimated. I definitely notice 3-5 lbs weight loss over the 8 week cycle I do. Updated review on this. For me it can't be used as a replacement for a pre workout. Makes me feel nautilus and gives heartburn. I've an extremely high tolerance to caffeine so I know it's not that. Not the same energy levels as a pre either, nowhere close. Also can't really be used on conjunction with a pre workout as there would be too much caffeine if you like stim pre workouts. A good pre workout a solid workout and a good diet has lost the weight for me so far. I regret buying this as it's thrown off my routine. Hasn't worked for me anyway. Definitely heats you up, but so does rigorous exercise so I won't be buying any fat burners again. I tried other fat burners but I came back to this one. 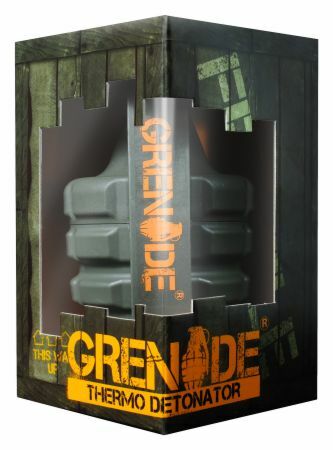 Out of the fat burners I've tried the grenade works the best. Comparing this product to thermabol it's hands down the winner. With diet and workouts combined with this i lost 5% of body fat without losing weight. Great product! I did lose a 4 or 5 pounds. Gives a tremendous boost as like a pre-workout. And I never felt hungry while on it. There was so much energy I didn't even take coffee in the morning. No crashes. It works. But follow the serving suggestions. Jacks your stomach up. It took me a little over a week of taking 1 pill at a time before I was able to increase it to 2 pills at a time. So, first week I wasn’t sure about starting on half dose - I quickly learned you probably should follow that instruction - taken without attention these can mess with your stomach a bit - I also consume a fair amount of coffee whilst on these and have no negative side effects. Warnings aside, I think they’re great, probably get about a 25% boost in stamina when training compared week to week. Gives you the energy you need, I saw that I was more focused, curbed my appetite and I lost 29 lbs in 2 months combined with healthy diet and workout plan. Only thing I have to say is when your not on it your mood isn’t the same and feel kind of tired thru the day. Other than that def recommend this product ! This was the first fat burner used before trying other brands. 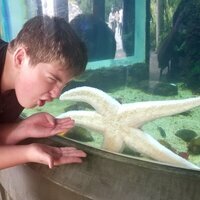 So I writing the review after I have used another one to compare. The results when using Thermo Detonator were more visible, didnt give me late afternoon crashes. I was able to keep my sleeping pattern without any issues. I'm still using the competitors fat burner since I order a large quantity. However, I do have the intend to go back to Thermo Detonator after all I have left is gone. 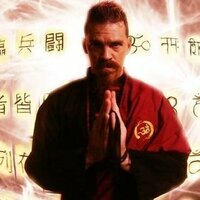 Is a very strong and effective product. Only complaint is that it is not for the weak stomach people. I usually can handle stuff pretty well, but this stuff just tears my stomach up. Also have had problems with belching constantly when I take it. If you can get past this part, I have had great results using it. This is such a great fat burner I don't think people really understand how effective this can be. I am a professional dancer and while rehearsing for a show I took these in an effort to burn fat and achieve abs for the first time in my life! With a goodish diet, quite a lot of cardio and a whole lot of core exercises, I saw a massive difference in FOUR WEEKS! I have pictures to prove it. That was the beginning of my fitness journey when I didn't even really know what I was doing. 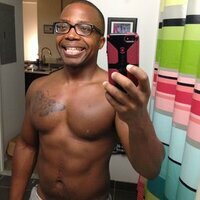 A couple times I gained weight again, due to life etc Then lost it all in a matter of weeks with intense workout. This also works great as a pre-workout. The one side effect which got me for a couple days, is it caused a slight insomnia :-/. I don't even drink coffee so having such a highly concentrated dose of caffeine did mess with my sleep patterns a little. 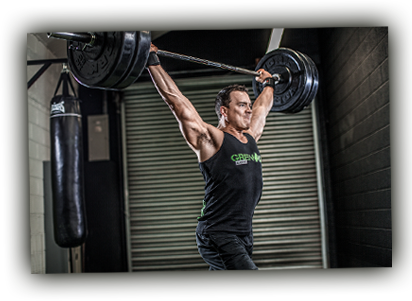 I have tried fat burners along my bodybuilding career. I have tried Hydroxicut, Xenadrine, GAT Superfuel and many others. This Grenade Fat burner I can say it's good, it does give you a kick in the morning when I most need it. I mainly use it instead of the 3 cups of coffee, I used to had in the morning. It does gives you a good focus and doesn't give you the annoying jitters. One good pro is that it doesn't destroy my stomach like other fat burners used to do. I only take 1 capsule per serving since there is no specific quantity of caffeine per capsule, so I guess, if I would take 2 capsules per serving it would be different. I would recommend it, however not for beginners.